We’ve taken a look at the numbers for September 2017 and can reveal that Koora, Sport360 and Eurosport Arabia ranked in the top three Sports websites within GCC last month. 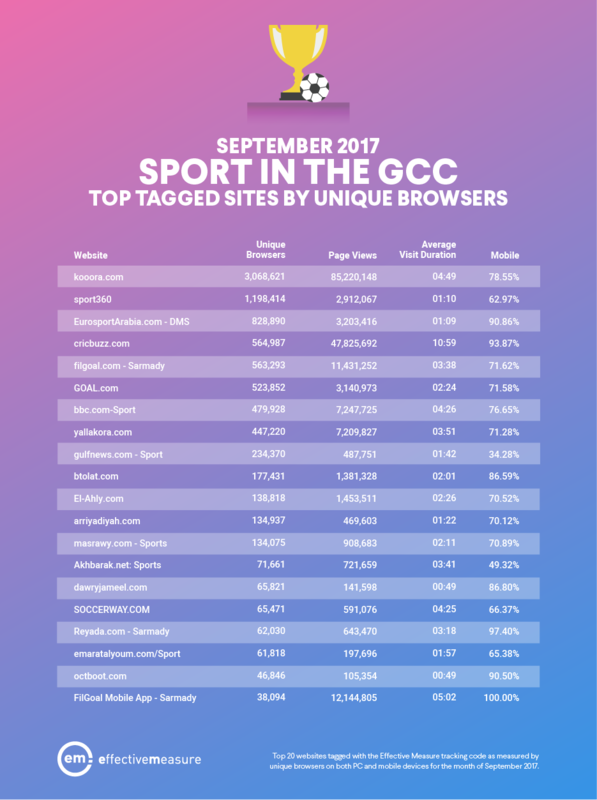 See below for the full list of GCC’s top 20 most popular websites within the Sports category during September 2017, ranked by unique browsers. Interested in finding out which news sites were the most popular in the GCC during July? Click here.